WHY WOULD SOMEONE TAKE AN EMOTIONAL INTELLIGENCE ASSESSMENT? You are struggling to effectively manage the people on your team. You are trying to get a better handle on your emotional reactions. You are focused on asserting yourself more consistently at work. You are looking for a way to make better decisions in multiple areas of life. You are overwhelmed and looking for some relief and stress management skills. You are doing really well and want to keep the momentum going. You are taking on new responsibilities and need to sharpen some time management skills. You are building new relationships and want to better understand other people. Honestly, there are as many reasons as there are people. We all carry with us a unique blend of experiences, beliefs, skills, and potential. We also have the ability to grow, to improve, and to step more fully into who we want to be. Emotional intelligence is a way to practically and strategically stay on top of our growth and invest in our personal and professional growth and satisfaction. The EQ-i 2.0 assessment is an effective, strategic way to make meaningful changes in a way that sticks. You were made to thrive - why not get started now? 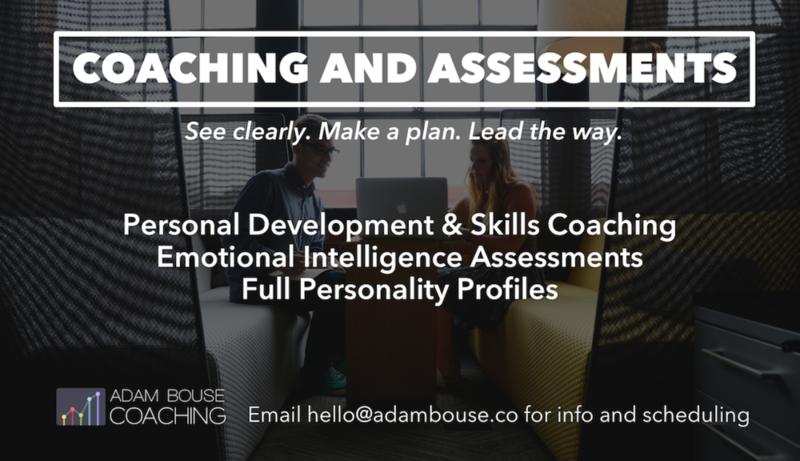 Get an EQ-i 2.0 assessment today and, along with an hour of personalized coaching. Take control of your development and growth - personally and professionally. The EQ-i 2.0 Group Report combines the EQ-i 2.0 scores of individuals in a manner that allows you to make interpretations at the group or team level. This report presents an overview of group results that identifies group strengths as well as the areas where the group as a whole can be more effective. Furthermore, the EQ-i 2.0 Group Report discusses the organizational implications of a group’s emotional intelligence (EQ) score and recommends strategies for action that can further develop the group’s potential.